Election Day is here and Florida is taking its usual spot on center stage in American politics. The stakes could not be any higher in the Sunshine State with a gubernatorial and U.S. Senate with national implications. Tallahassee Mayor Andrew Gillum is looking to become the first Democrat to win gubernatorial election since 1994. Gillum, perhaps the most liberal Democratic gubernatorial nominee since Robert King High in 1966, offers a sharp contrast with former U.S. Rep. Ron DeSantis, R-Fla., who has President Donald Trump’s support. A rash of polls released on Monday show Gillum in the lead. Quinnipiac University has Gillum up 50 percent to 43 percent. A NBC/Marist poll released on Monday shows it closer but Gillum is ahead 50 percent to 46 percent. A St. Pete Poll taken for Florida Politics has Gillum ahead 49.5 percent to 46.4 percent for DeSanits. Republicans are trying to hold onto control of both chambers of Congress. Their chances of keeping the U.S. Senate improve dramatically if Gov. Rick Scott, who faces term limits, is able to defeat U.S. Sen. Bill Nelson, D-Fla. The race has been close but Monday’s round of polls show Nelson ahead–up 7 in the Qunnipiac poll, up 4 in the NBC/Marist poll and ahead of Scott by 3.7 percent in the St. Pete Poll. There are plenty of other key races at the state level. With Attorney General Pam Bondi facing term limits, former Judge Ashley Moody, the Republican nominee, is the favorite over state Rep. Sean Shaw, D-Tampa. Appointed by Scott to the post last year after Jeff Atwater resigned to take a job with Florida Atlantic University, state CFO Jimmy Patronis, a Republican, is looking to win a term in his own right as he faces Democrat challenger former state Sen. Jeremy Ring. In a close race, state Rep. Matt Caldwell, R-Lehigh Acres, is looking to keep the agriculture commissioner post in the red column as he squares off against attorney and lobbyist Nikki Fried who has showcased her support of gun control and expanding medical marijuana. Democrats are hoping to flip the U.S. House and they have plenty of chances to win seats in Florida. In South Florida, Democrats hope that former U.S. HHS Sec. Donna Shalala can flip the seat held by retiring U.S. Rep. Ileana Ros-Lehtinen, R-Fla., while two Republican incumbents–U.S. Rep. Carlos Curbelo and, to a lesser extent, U.S. Rep Mario Diaz-Balart–are facing serious challenges from Democrat challengers. With DeSantis running for governor and U.S. Rep. Dennis Ross, R-Fla., retiring, Democrats hope to pick up two seats in traditionally Republican areas and polls show they have good chances in both contests. In a part of Florida hit badly by toxic algae, U.S. Rep. Brian Mast, R-Fla., is locked in a close race with Democrat challenger Lauren Baer. The only realistic chance for Republicans to pick up a House seat currently held by a Democrat is state Rep. Mike Miller, R-Orlando, against U.S. Rep. Stephanie Murphy, D-Fla., but it looks like an uphill fight. The GOP should keep control of both chambers of the state Legislature but there are some interesting contests, especially on the state Senate side. There are also important local and county races up for grabs in major cities across Florida. 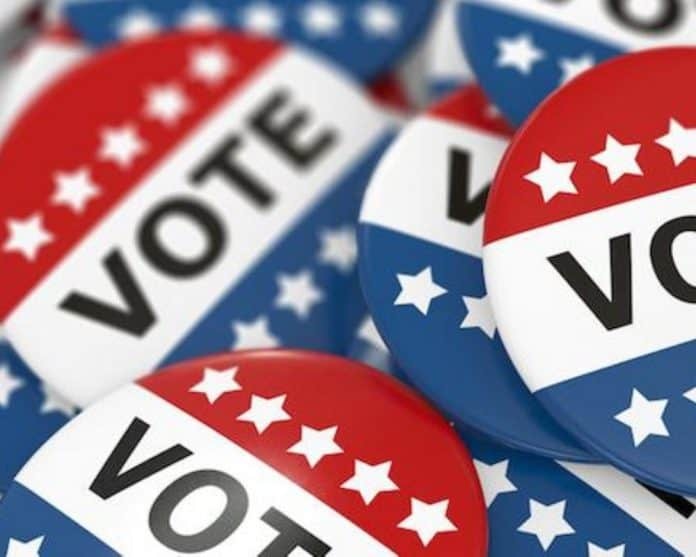 Florida voters will also weigh in on 12 proposed amendments to the state Constitution covering everything from property taxes, the state Department of Veterans Affairs, banning dog racing, drilling in state waters, vaping to how the Legislature can raise taxes. Most of these amendments will fail–they need 60 percent approval to pass–but a few will get through and impact the Sunshine State. Based on early voting and mail in returns, Florida could produce some dramatic results, especially with almost 5.1 million votes already in and around 20 percent of those votes cast by voters outside of the major parties. If the polls are correct, that last point could benefit Democrats who are doing well with independents.